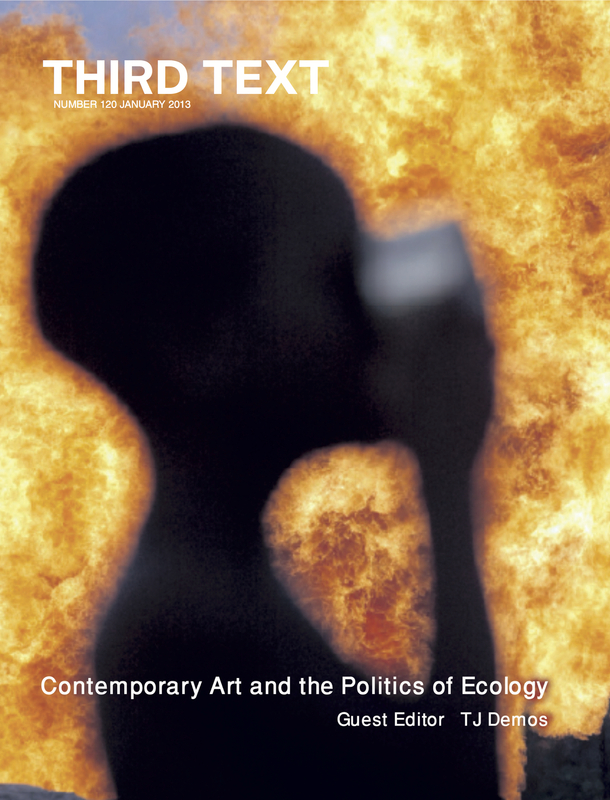 This special issue of Third Text, dedicated to contemporary art and the politics of ecology, investigates the intersection of art criticism, politico-ecological theory, environmental activism and postcolonial globalization. The focus is on practices and discourses of eco-aesthetics that have emerged in recent years in geopolitical areas as diverse as the Arctic, Nigeria, Bangladesh, Indonesia, Europe and Mexico. The numerous contributors address new aesthetic strategies through which current ecological emergencies – including but not limited to the multifaceted crisis of climate change – have found resonance and creative response in artistic practice and more broadly in visual culture.